Ted Lipien started his journalistic career in 1973 at the Voice of America, a taxpayer-funded U.S. government radio station in Washington, D.C. which has been broadcasting to audiences overseas since 1942. 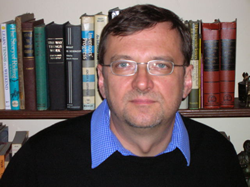 He began as a radio announcer with VOA's Polish Service. In 1982, he was put in charge of all radio broadcasts to Poland and oversaw their expansion during the communist regime's crackdown on the independent Solidarity labor union. One of the many people Ted interviewed during his career at VOA was Cardinal Karol Wojtyła, the future Pope John Paul II. 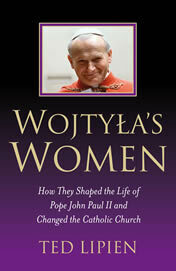 Ted's book about Pope John Paul II and his vision of women, family, and feminism was published in June 2008. From his base in Prague, Ted continued to travel extensively throughout Eurasia working with local broadcasters to arrange program placement and negotiate leases of radio transmitters. During the Balkan war, he went to Sarajevo, Bosnia, to help a multiethnic radio station in that city carry Voice of America and Radio Free Europe programs. Shortly after U.S. and coalition forces liberated Afghanistan from Taliban rule, he negotiated and signed agreements for 24-hour VOA broadcasts on an FM station in Kabul. A few weeks before the fall of the Saddam regime, Ted concluded successful negotiations to place Radio Sawa and Voice of America programs on FM stations in northern Iraq. In November 2003, Ted returned to Washington and became director of VOA's European Division. After the outbreak of ethnic violence in Kosovo in March 2004, he oversaw the expansion of television broadcasts in Serbian and Albanian. He also launched an online opinion journal, New Europe Review published in 19 languages. The journal featured articles and interviews on transatlantic relations with contributions from both American and European experts and opinion makers. Ted was later put in charge of the Eurasia Division at the Voice of America where he was responsible for starting daily television news programs in Ukrainian during the Orange Revolution. He also started the first daily VOA television news broadcast in Russian and developed multimedia programs for Central Asia and Belarus . In September 2005, Ted was made VOA's acting Associate Director for Central Programming. He received a number of awards for his work at the Voice of America and the International Broadcasting Bureau. Ted retired from VOA and U.S. government service in the spring of 2006. He launched FreeMediaOnline.org to assist independent broadcasters and journalists worldwide struggling with repression, censorship and propaganda. Ted has a BA degree in international relations from the George Washington University and is a Phi Beta Kappa member. He is fluent in Polish, speaks Russian, and has a working knowledge of a number of Slavic and West European languages. He is married to Deborah Croyle who is pursuing a legal career. They live in the San Francisco area. Ted's daughter, Lodi Lipien Rohrer, is a statistical research specialist at the University of South Florida in Tampa.